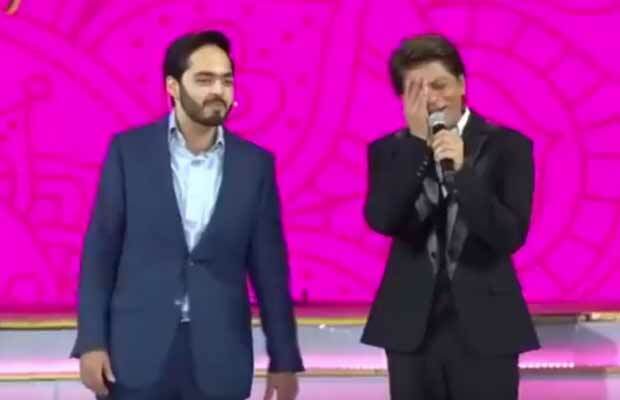 Shah Rukh Khan Asks Anant Ambani About His First Salary, His Reply Was Epic! Shah Rukh Khan had a very funny conversation with Anant Ambani at a recent event. The Bollywood superstar Shah Rukh Khan is known for his wit and sense of humour. In his #AskSRK sessions on Twitter, we have seen how he leaves everyone spellbound with his wise words. But it seems like the actor has got competition now. And it is none other than Mukesh Ambani’s son Anant Ambani. Reliance Industries Limited, currently owned by Mukesh Ambani, has completed its forty glorious years. And it obviously called for a celebration. The Ambanis threw a lavish party which was attended by many B-town celebs. At the same event, we spotted SRK, who is very good friends with Mukesh and Nita Ambani. The Ambani kids – Akash Ambani, Isha Ambani and Anant Ambani were introduced officially to the media as a part of the Reliance family for the first time. Previous articleAfter Anushka Sharma, This Bollywood Actress Had A Secret Wedding?